Sadly, the Muscat grapes are slowly disappearing from the Alsace wine scene, and soon the production will be under one percent of the region! 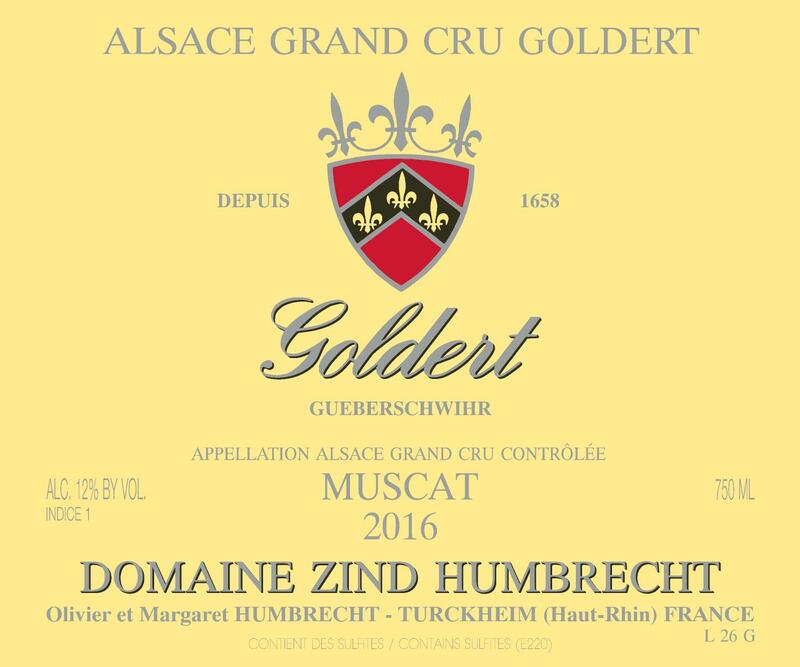 The Grand Cru Goldert always had a strong specialization for the Muscat, especially for the petit grain type (later ripening, higher acidity) called Muscat d’Alsace. Still today, over a third of the vineyard is planted with this grape which makes it probably the biggest in Alsace. Muscat is a high yielding grape that can often lack structure and complexity. The late ripening Oolithic limestone of the Goldert has the potential to bring balance, structure, ageing potential to this wine, but more importantly, can also overpower the strong varietal perfumes and impose a complex mineral style. The 2016 was harvested with a little less alcohol power than usual and fermented over a full year to reach a bone dry balance. 2/2018: bright pale yellow colour. The nose is subtle, showing classic light floral aromatics, announcing a delicate wine with a lacy structure. The palate is airy, offering a very vertical wine, enhanced by a dry, strict, tense and persistent finish. It is amazing to see how a wine with such a light weight offers such a presence and beautiful character. Tireless, this wine will go far and develop all the potential of this Grand Cru vineyard.